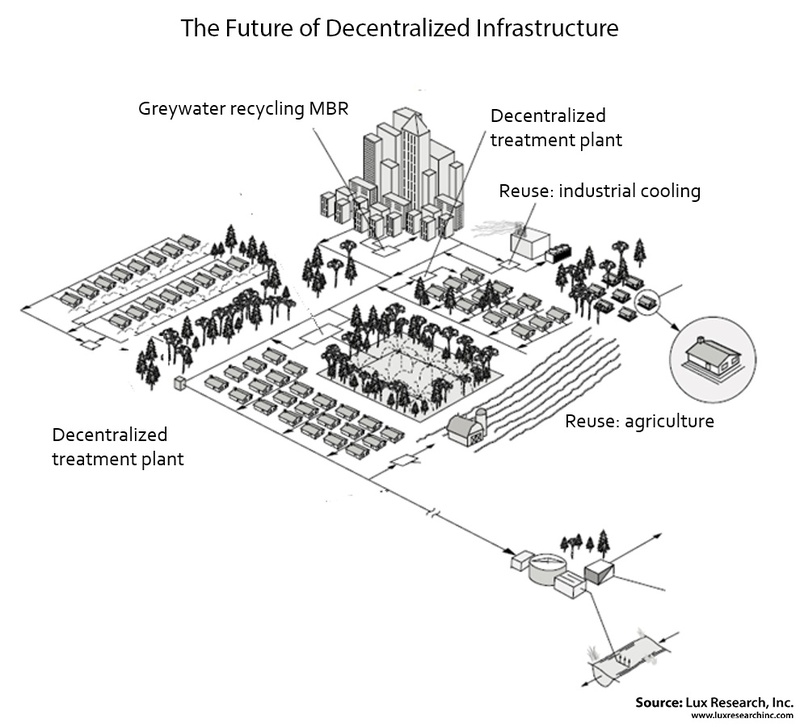 Decentralization of historical industrial wastewater treatment plants (WWTPS). Outsourcing of water treatment to outside service providers. These external service experts are typically small–privately owned and locally operated. Consolidating these companies could lead to enormous economies of scale through sharing of best practices, technologies, and customers. Develop a national network of a wholly-owned profitable, well-managed water treatment subsidiaries. These companies will provide systems and services to meet the needs of a full range of customer requirements across all markets in the USA. By acquiring companies with complementary services and technologies, The OriginClear Group™ can offer a total array of solutions through one provider to any customer anywhere. Specialized expert services under a single organization. That’s the vision of The OriginClear Group. What’s special about an OriginClear Group company? Ability to make quick independent decisions. Selective Support from OriginClear Management. OriginClear’s acquisition veterans have and will identify complementary business opportunities and management support services that will benefit The OriginClear Group companies..
Network effect: OriginClear companies are free to share technology solutions and even refer business to each other. We anticipate business collaborations will grow business substantially over time. Direct Support: OriginClear Group companies have access to a national bid program and a national sales rep organization. Advice to grow your business: Improve your website, capture media opportunities, generate leads, recruit key team members, “unburden the boss,” and re-energize lines of business – whatever is needed. Financial resources: Strategic alliances for more purchasing leverage, improved lines of credit, better bonding capability for large contracts. 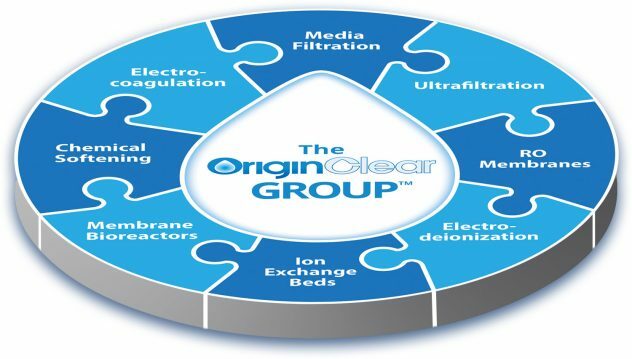 OriginClear’s Electro Water Separation with Advanced Oxidation (EWS:AOx) technology has proven to be a commercially successful treatment technology in applications from oil & gas, to irrigation to leachate treatment. 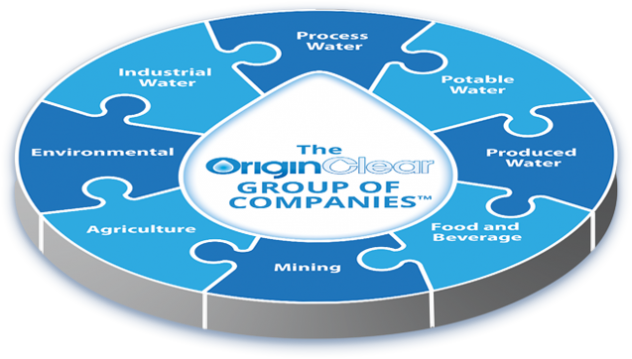 Recently, OriginClear designated its subsidiary, Progressive Water, as a certified manufacturer of systems using OriginClear’s Electro Water Separation™ process. All OriginClear Group companies will have the opportunity to become a complete system manufacturers, for both licensees and end-users, of this breakthrough technology. However, there is no requirement for subsidiaries to carry the treatment technology. In fact, companies are encouraged to select technologies that maintain their high quality of customer care and business operations.